ok i drew this for Sasukegurl compurtion so i hope it is alright its my first time drawing Naruto characters and i have no idea how sonic and Naruto got Sasuke and Shadow to pay for their meals. a mistake they well never make agian. i didn''t know weather to colour in photoshop or in colour pencile in the end i decied to use colour penciles. XDDD LOL I UNDERSTAND!! SO FUNNY!! 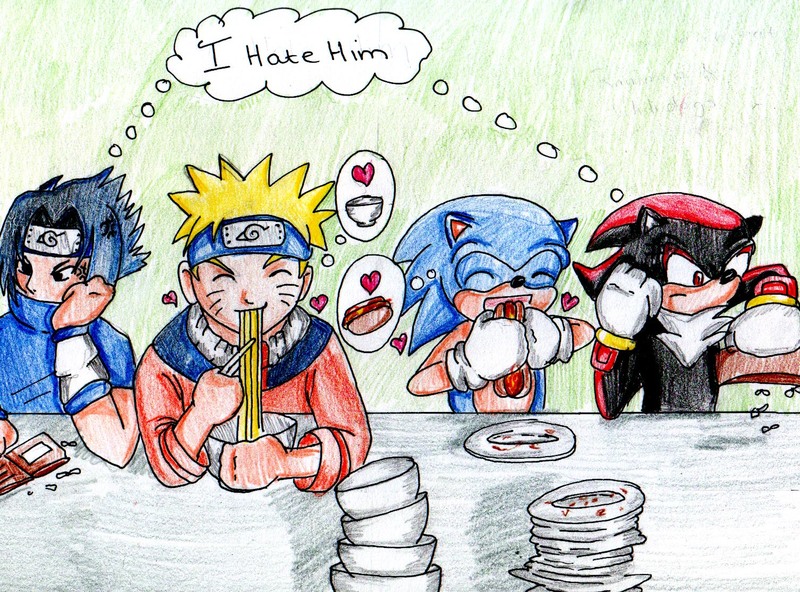 Shadow and Sonic are ridiculously simaler to Sasuke and Naruto. And Sakura? She's Amy. And Hinata sorta reminds me of Cream!